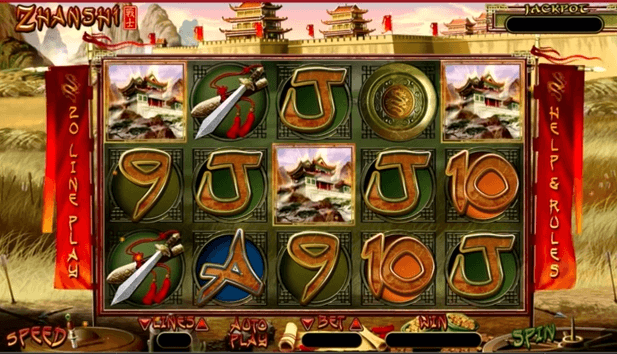 Fight for glory and honor in Zhanshi, a commanding new slot powered by RTG with gorgeous graphics and impressive wins. The first feature is triggered when 3 or more Wild Warriors appear anywhere onscreen during a normal game. Up to 25 Free Games awarded, with all prizes tripled. The second feature awards 10 Free Games with 3 or more scattered Temples. All prizes are doubled, with the feature re-triggering with any 3 or more mixed scattered Warrior and/or Temples!